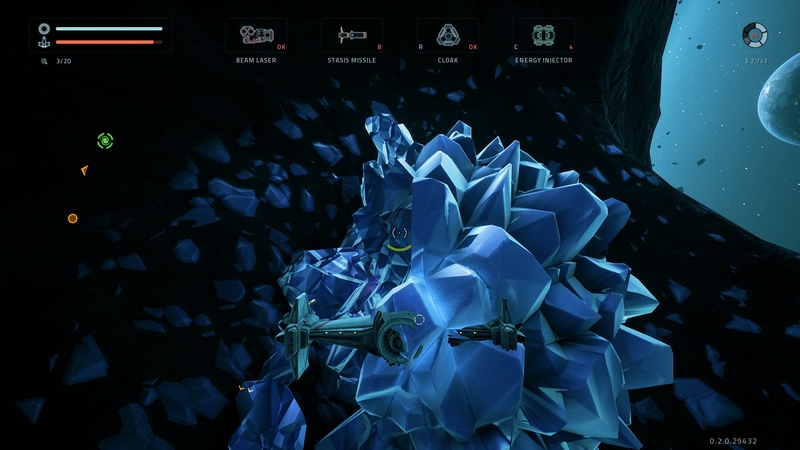 1) The crystal is untouched with full "health" so to say. 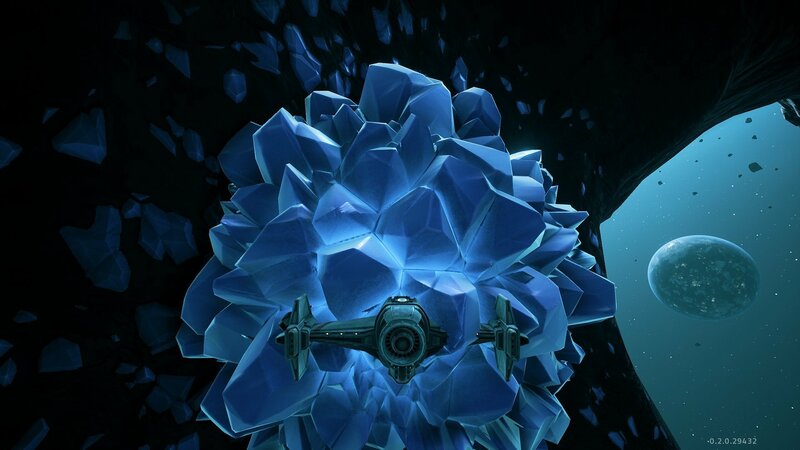 2) As you can see, the ship is able to fly into the crystal without taking damage. 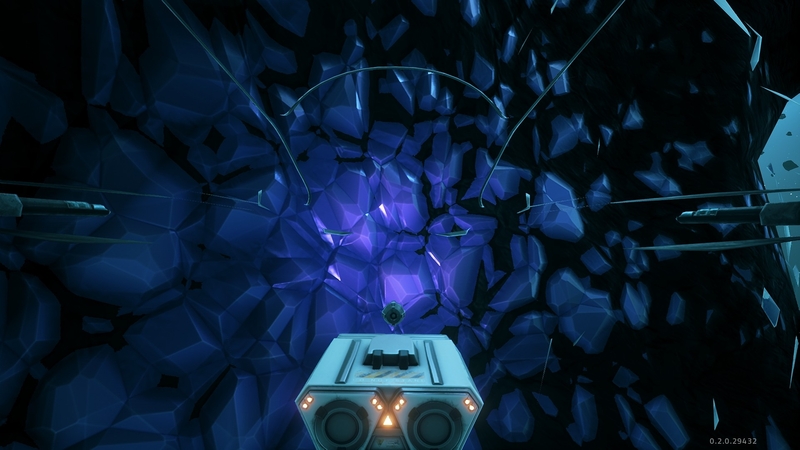 3) If you fly far enough into the crystal in 3rd person view, the camera glitches and things become transparent. 4) Even after you have partially mined/damaged the crystal, you are still able to fly through it without taking damage. I first noticed this a few days after the game's release on Steam Early Access (version 0.1.3.28942) , so I have no idea how long this has persisted. 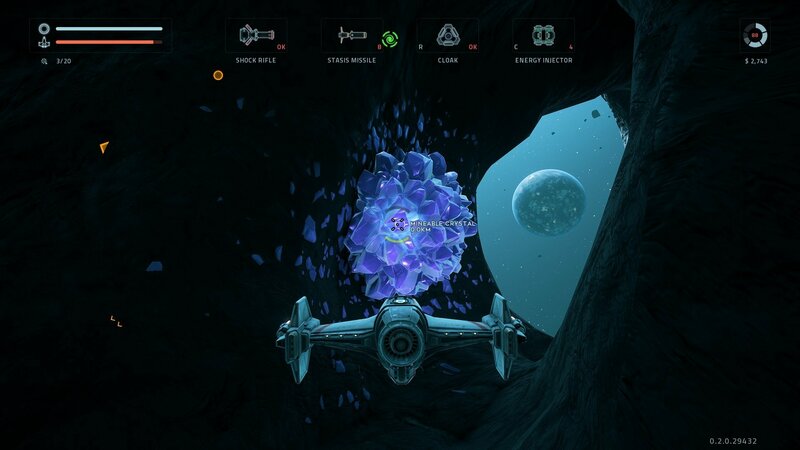 Now this also happens with any crystal, not just randomly, and both currently available ships in the sectors that allow for crystal spawning.